Marvelous Multiagers! : K is for Kite! 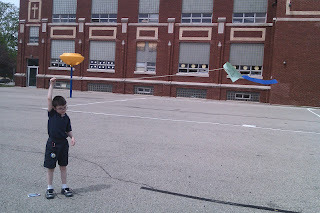 Today was K Day in our ABC Countdown, which meant that it was Kite Day. Honestly, I didn't really have a lot planned for today. 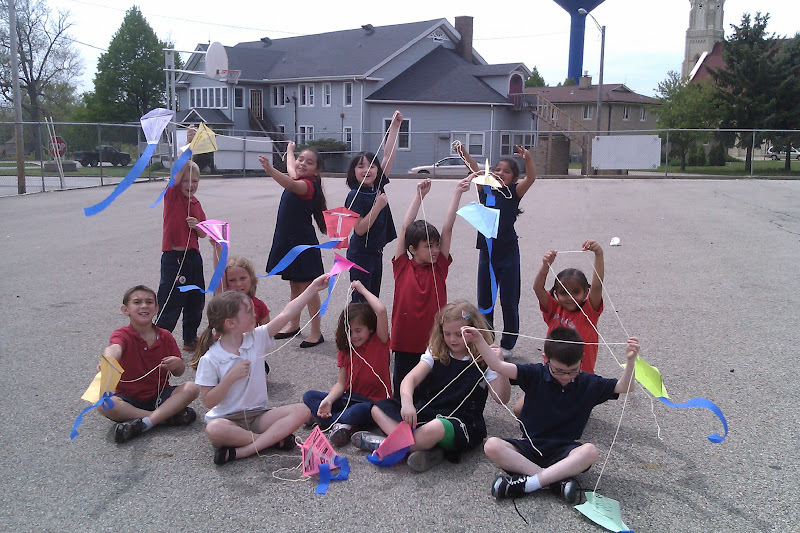 I figured maybe we'd make some symmetrical kites or write about kites or something. 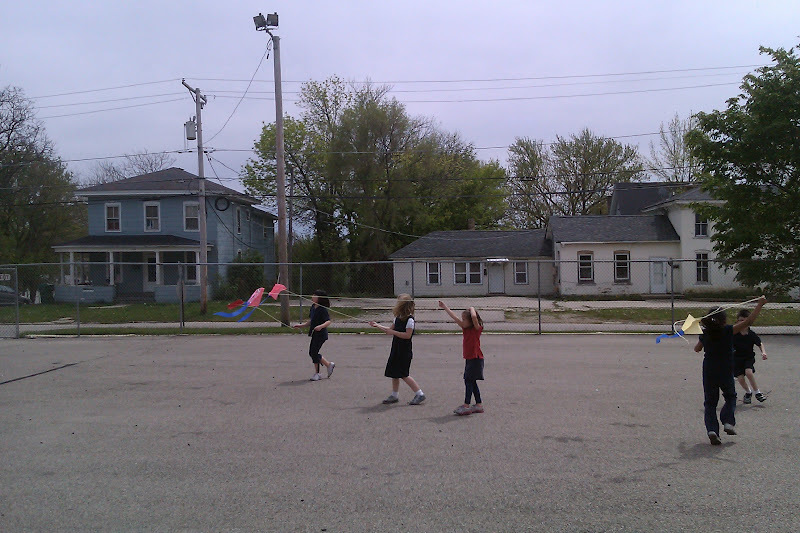 The hourly forecast predicted rain every hour today, so I figured I'd have an easy out when the kids asked if we were going to fly kites today. "Of course not!!!" I imagined myself saying. "Can't you see it's pouring out there??" However.... the hourly forecast lied to me and it hardly rained at all! By lunchtime the sun was shining like it didn't have a care in the world. So I knew I wasn't off the hook! So during my kids' specials time this afternoon, I googled and googled and found 20 Kids, 20 Kites, 20 Minutes. 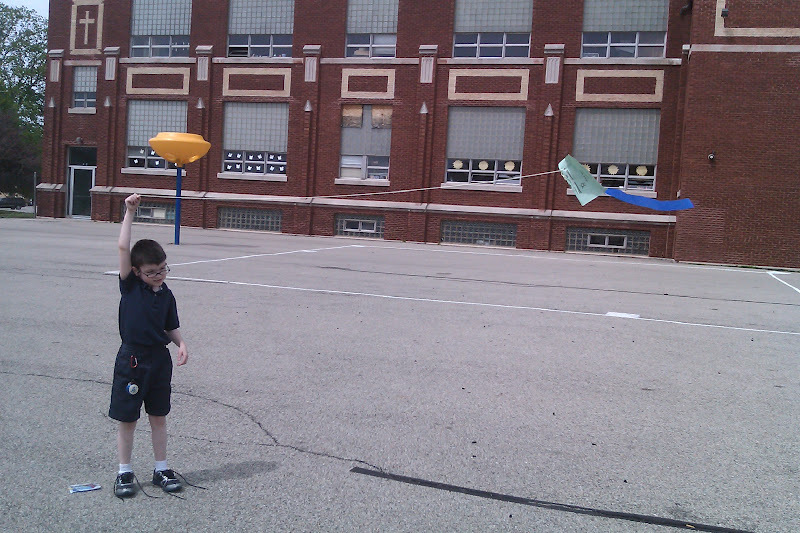 SUPER EASY kite-making directions! And I had everything in the classroom - regular paper, coffee stirrers, streamers, string, and tape! 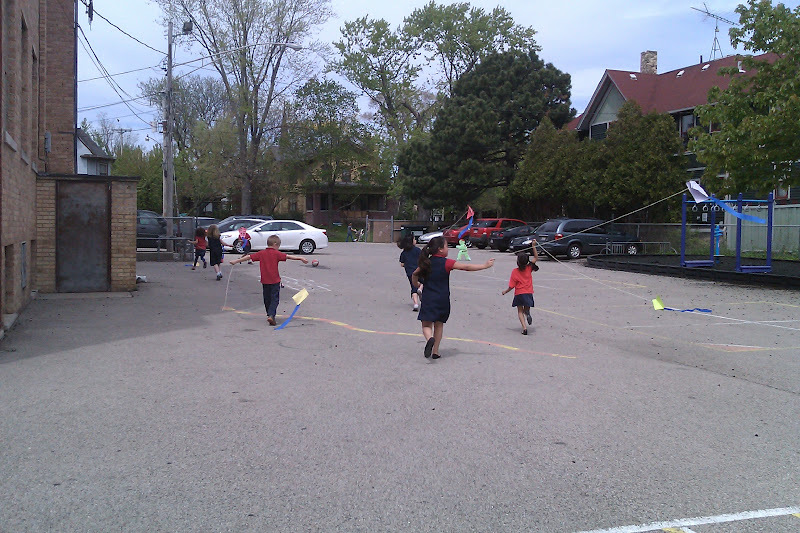 I did have to do the diagonal fold for all of my kids, but it was a small price to pay for the sheer happiness on their faces as they flew their handmade kites outside! I was lucky to have a semi-windy day, too! This was an easy and fun little activity and I'd recommend it highly!! I do this every year and the kids LOVE LOVE LOVE it! My kiddos from last year have been asking for weeks if we're going to get to do it again! Thanks for dropping off some comment lovin'! Here's some for you!